The old launch complex A with two rectangular concrete pads were probably completed in 1955, and the first tests began the same year with the R-11M (Scud) missile. 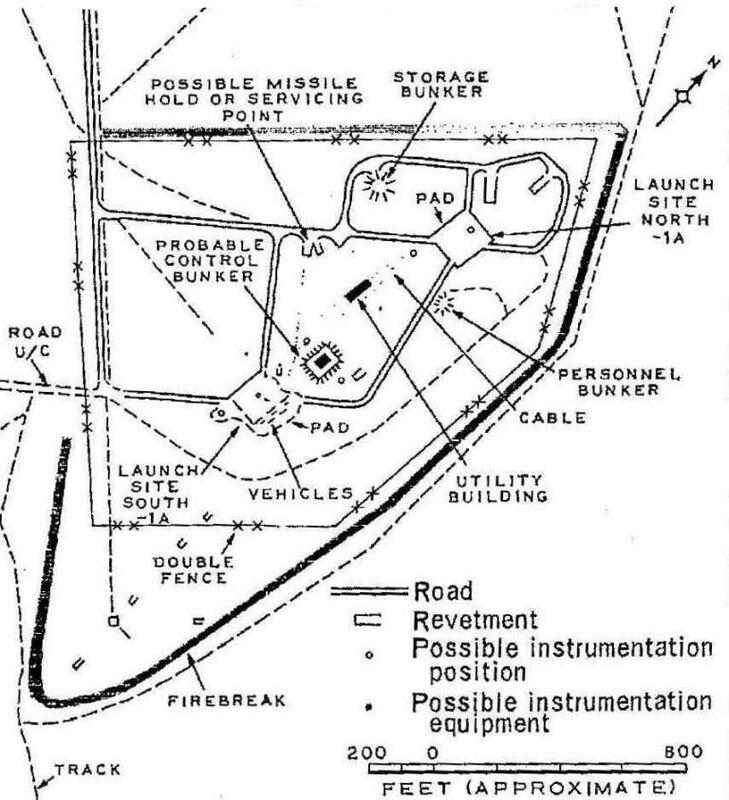 The two pads, as well as the associated troop training launch sites 1 to 7, were used to test a variety of short range surface-to-surface missiles, including the various Frog models (Mars, 1957; Luna, 1959; Luna-M and Luna-3, 1963), the R-11 and R-17 Scud models (1955 and 1959), as well as the SS-12 missile (Temp and Temp-S, 1961). The latter was probably initially designated KY-2 by US intelligence, while KY-1 might have been the R-17 Scud. 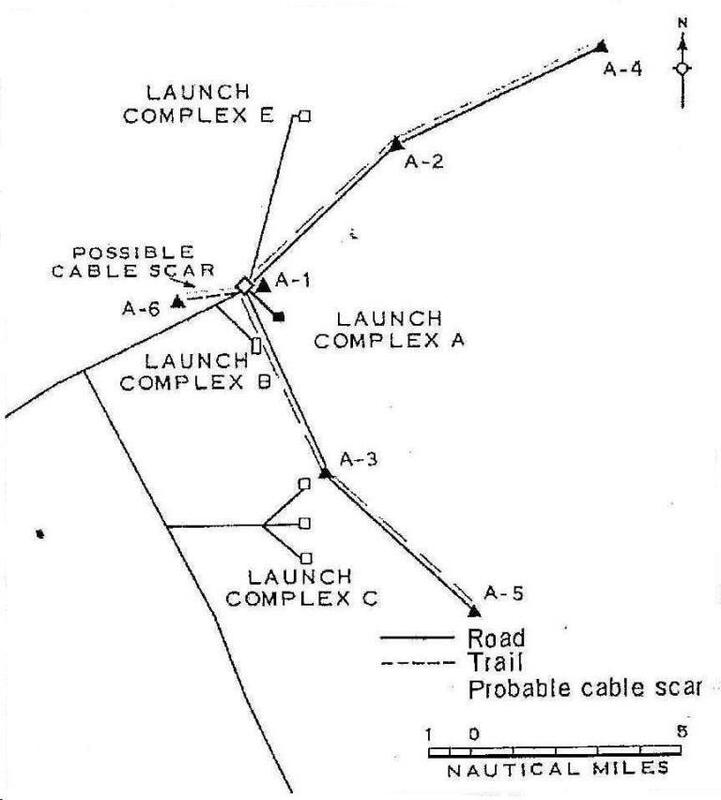 The Toschka (SS-21) and Oka (SS-23) was apparently also tested from this complex. It is almost certain that the area was also involved in tests of the R-1 and R-2 missiles. It should be noted that a R-12 (SS-4) and associated equipment were observed on launch pad 1A2 in April 1964, so the pads were apparently also used in MRBM training exercises. In 1963/4 the complex was modernised with two new large earth-mounded launch structures, 2A1 and 2A2, one of which partly intrudes on the old 1A2 pad area. The structures are rectangular and capped by elevated concrete platforms having large circular holes in their centers. The platforms are served by ramps which form the long axes of the structures, and which are oriented northwest-southeast. Artist's impression of launch structure 2A1. Artist's impression of launch structure 2A2. abandoned, and were describing both as hard (silo) structures. then send me a line. 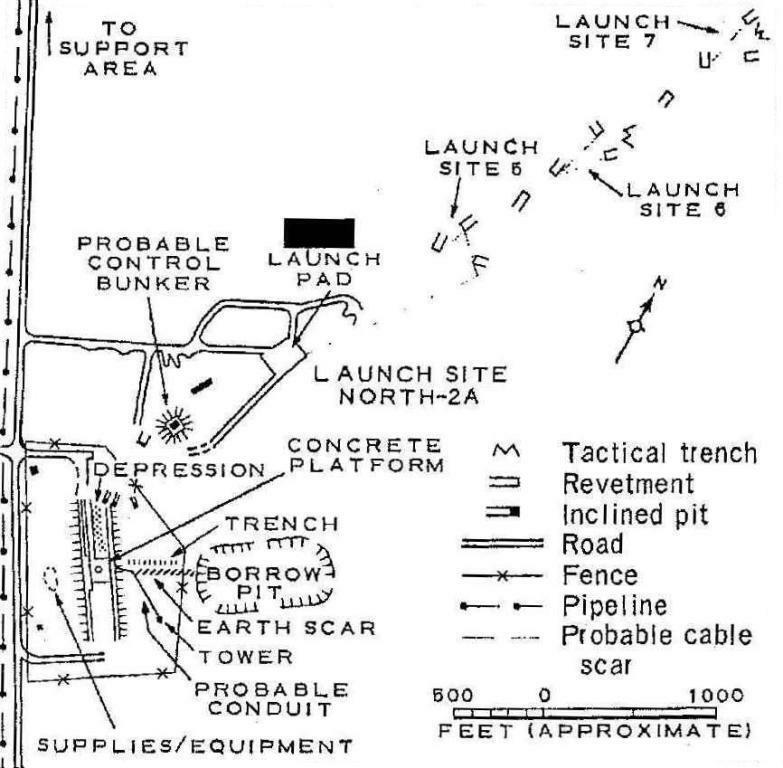 Seven troop training launch sites for field tests, were associated with launch complex A. In 1968 a new troop training area was observed (48 42 33N, 46 16 26E), and consists of a support area with barracks, field training positions, and bivouac areas. The support area supplies logistical and administrative support for Launch Complex A - 48 41 50N, 46 15 43E. In the early 1960's the area comprised a missile assembly and checkout facility, a possible thermal power plant, a storage section and a motor pool. By 1964 the support area has more than doubled in size and now includes a fenced drive-through building, a power substation, and several new buildings within the administration and housing section.